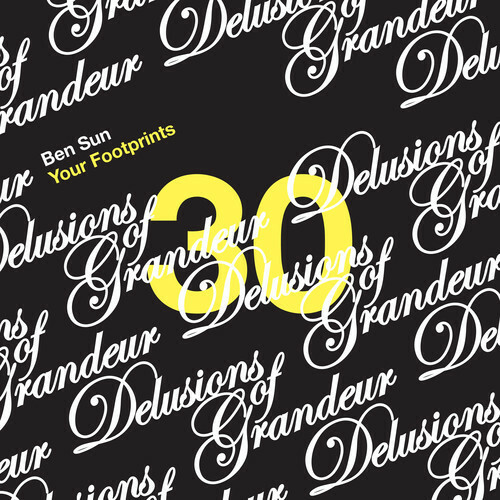 Summer comes early on the latest Delusions of Grandeur release from the aptly named Ben Sun, another Aussie producer cooking up a storm with his deeper than deep productions. The title track is arguably his best yet, its bustling and chiming bells frenetically dancing about the tip of a lethargic Chicago house beat. Combined with twinkling synths and a gently looped vocal snippet you can feel it yearning for the sunshine. (I’m struggling not to use that vaguest of descriptors: Balearic). 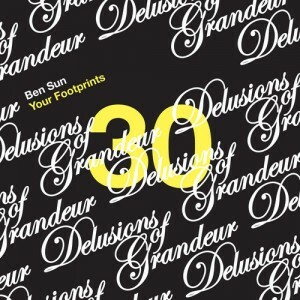 ‘Affirmation’ opens with an equally enticing jingle of high-end – albeit without the blissed-out appeal. A softly warping synth line dominates whilst a hip-hop-sounding vocal snippet is muffled and buried amidst bendy atmospherics. On the remix, Tevo Howard cuts a sharper snare beneath the hitherto chirpy ‘Footprints’ and melds the synth into something altogether eerier. Cop this release, if only for the stunning title cut.